The ratio of women on the board of directors does not correlate with the number of women executives in the same company. This is shown by the Women’s Day 2014 study conducted by the Finland Chamber of Commerce. “Unlike the advocates of gender quotas for corporate boards argue, increasing the number of women on the board of directors does not increase the number of women executives. 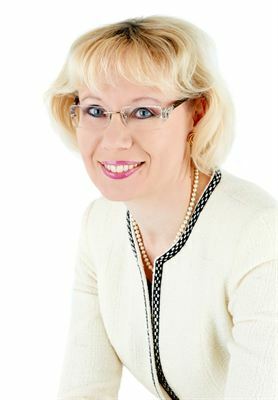 There is no correlation between the gender distribution of the boards and executive management teams”, states Leena Linnainmaa, Deputy Chief Executive of Finland Chamber of Commerce. The study covers all the 119 listed companies on the Helsinki Stock Exchange's Main List. The board and executive management team were compared regarding the gender distribution in each company. The study shows that a high number of women on the board of directors does not lead to having a high number of women executives. On the other hand, a small or non-existent number of women directors does not mean an equally small number of women executives. In several companies the situation is quite the opposite. Finland holds the EU record for women on the boards of listed companies. Large cap listed companies in Finland have more than 30 per cent women on the boards of directors. The high number has been achieved without legislated quotas. The achievement has been reached through self-regulation. Recommendation 9 of the Finnish Corporate Governance Code for Listed Companies states that “both genders shall be represented on the board.” If a company does not comply with the recommendation, it must account for and explain the deviation from the Code. “Although some other national codes handle diversity on the boards, the Finnish Code is the only one requiring an explanation if both genders are not represented on the board of a company. This requirement is what makes the Finnish Code so effective”, Leena Linnainmaa explains. The previous women executives reports by Finland Chamber of Commerce show that the glass ceiling exists and it is located at the executive management team level regarding the line management. Most women executives operate in support functions, such as HR. The ratio of women in executive management teams is on average lower than on boards, 19 per cent compared to 23 per cent when companies of all sizes are taken into account. Only 9 per cent of line management positions on executive management team level is held by women. However, only one Finnish listed company has a woman as CEO. “In the future, we should look at the real problem – the very small number of women executives in line management of large companies. Even in Norway gender quotas for boards have failed to increase the number of women executives”, Leena Linnainmaa points out. 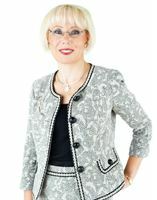 According to Linnainmaa having more women executives will require new attitudes among employers and women themselves. “There are many factors behind the current situation, including the educational choices of women. Even today very few women study engineering. Women also tend to be overcritical and are not always eager to assume new challenges” Linnainmaa says. “On the other hand, employers may not always build the same kind of career paths for promising women as they build for men. This is a problem that should be acknowledged and resolved”, Linnainmaa concludes.